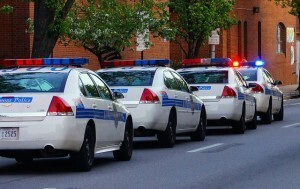 Fresh off an embarrassing turn of events where Baltimore’s top cop resigned after just 4 months on the job, the city police department is back in the news for the wrong reasons. This week an ongoing investigation involving another high ranking police officer became public, and that officer has since been suspended and removed from her position as the department’s representative in a national police organization. The officer in question held the ranking of major and oversaw the entire robbery and non-fatal shooting unit. She was in charge of over 30 detectives who investigated thousands of robberies per year before being suspended this week. The misconduct that led to the suspension involved the misappropriation of funds from a non-profit organization she created to mend the relationship between cops and the community. While the officer may have mended some relationships, she also used over $2,000 of the foundation’s money to purchase plane tickets for a European vacation with her kids. News of the major’s misconduct was not released by the police department, the State’s Attorney’s Office or the feds as would be typical in a situation such as this. Rather a reporter for the Sun broke the story that ultimately forced the department’s hand at the suspension. The information about the misconduct came to light in a closed custody hearing between the major and her ex-husband who is also a high-ranking officer in the department. The husband apparently disclosed to the Court that he became suspicious of the misconduct after coming across a bank statement in the trash that showed the non-profit’s funds had been used for personal reasons. He also turned this information over to the internal affairs, which began their investigation of the major back in December. The internal affairs investigation was kept secret from everyone else in the department, and also from the national police organization that was no doubt embarrassed and irked that one of its members had been under investigation for six months for stealing from a charity. News about the soon to be ex-major came within a month of the police commissioner resigning after being charged with tax evasion by the federal government. The department totally failed to properly vet the commissioner and then the mayor made the situation even more embarrassing by offering support of her chosen top cop even after he was charged. The mayor seemed to minimize the charges by alluding that the ex-commissioner simply failed to prioritize his personal affairs when he violated federal law, which is a ridiculous statement on so many levels. The ex-commissioner now faces up to one year in jail and a $25,000 fine for each of the three misdemeanor counts that represent the three years he failed to file. It will be interesting to see how this case plays out, and whether the former commissioner will be held to a higher standard than an average Joe who fails to file. The Blog will follow both of these cases closely and may post a follow up article when the major is charged, and when the former commissioner enters a plea or is sentenced. 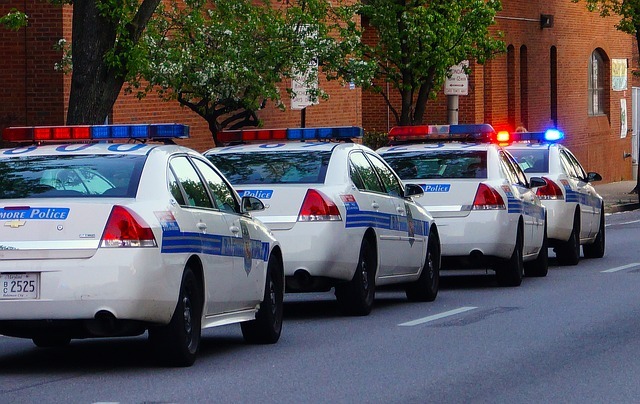 The odds are also pretty high that more Baltimore Police corruption headlines are on the horizon so stay tuned for the Blog’s thoughts after the stories break. Benjamin Herbst is a Baltimore criminal defense lawyer that handles cases in all Maryland jurisdictions including Wicomico County, Prince George’s County and Montgomery County. He is also has extensive experience handling cases in the federal courts in Greenbelt and Baltimore City. If you or a loved one has been charged or is being investigated for any criminal offense Benjamin is available anytime for a free consultation at 410-207-2598. Baltimore Police commander recalled from elite fellowship, suspended after Sun reveals theft investigation, baltimoresun.com.